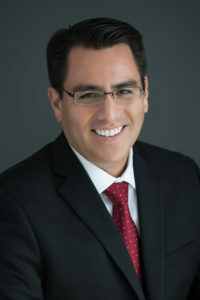 7 Reasons to Rethink the Importance of Title Review in a Commercial Real Estate Transaction (and Tips for Carrying Out an Effective Title Review) - Alex Ramirez, Esq. After an exhausting, seemingly interminable search, you have finally identified your next commercial real estate purchase. After several calls and emails, the price and terms are agreed upon. The Purchase and Sale Agreement (PSA) is negotiated and executed. The title company issues a preliminary title report (Preliminary Report). You quickly scan through it, and the listed exception items appear very much like the exception items that you have seen before. Unalarmed, and with other pressing matters at hand, you hold off on your review of the underlying title exception documents. The Preliminary Report is put aside and you proceed to address the other seemingly endless due diligence issues. Later, as the expiration of the due diligence period rapidly approaches, you recall that the Preliminary Report seemed fine. With the momentum of the deal propelling you forward, you decide to move forward and waive the contingency. All too often, investors and business owners fail to give the title review process its due weight when making a major commercial real estate acquisition, and, as a result, they do not fully understand the title risks involved. The failure to fully understand the title risks in a deal leads to unmanaged (or mismanaged) legal and financial risk. Further exacerbating the situation, the PSA is oftentimes initially prepared by the seller. Unless specifically negotiated, the title review timelines set forth in the PSA will not necessarily afford the buyer adequate title review time periods, or even a clear mechanism to address the discovery of objectionable items. Vesting of title. Ownership needs to be fully ascertained to ensure that all seller parties are properly identified in the PSA and the conveyance deed. Seems obvious, right? You’d be surprised. I have seen transactions involving tens of millions of dollars where a pertinent party was not initially identified in documents. Easements and Liens. The review of easements and liens that will survive closing is crucial. There are many kinds of easements (e.g., access, utility, parking, reciprocal, slope and drainage). An easement may benefit or burden a property. Buyers should determine if they are willing to live with the terms of the easements involved and whether any such easements will interfere with the buyer’s intended use of the property (and potential future uses by subsequent purchasers). Oftentimes, certain types of easements (e.g., utility easements) are mistakenly viewed as standard or innocuous, however, buyers should note that the terms of an easement are negotiable. As a result, the written terms can vary significantly, even as to easements recorded against the same property by the same parties. The terms of an easement agreement may have been drafted intentionally broad due to the context when the easement was created. However, if feasible, the buyer may wish to have the easement clarified or revised to prevent future disputes. If an easement contains unusually broad rights or is extremely one-sided, a buyer should consider the potential future effects, especially in terms of selling the property or leasing it in the future. A poorly-drafted easement agreement may unexpectedly interfere with an owner’s prospective lease negotiations or other activities several years later. Additionally, the location of easements should be analyzed and, whenever possible, plotted on a map or survey to determine whether the easement’s location will interfere with the buyer’s intended use or development of the property. Encroachments & License Agreements. There are many forms of encroachments. An encroachment can expose a buyer to possible liability in many ways. For example, an encroachment may violate the terms of an easement agreement, or certain encroaching improvements may be subject to removal by the easement holder. In extreme cases, an encroachment may render the title unmarketable. A license is an authorization to do particular acts on the property of another without possessing any estate in the property. Buyers should determine if they are willing to live with the terms of any pertinent easements or license agreements involved. Other Unknown or Undisclosed Agreements. Occasionally, pertinent documents may not be provided by the seller. The seller may be unaware of their existence or may have negotiated these documents years ago, but may not remember or think to provide them along with the other due diligence deliverables. However, their existence can sometimes be discovered if the document appears in the Preliminary Report or is mentioned in another document appearing in the Preliminary Report. The above list is not exhaustive. An experienced commercial real estate attorney can help you identify and evaluate the legal issues that are specific to your transaction. In some instances, depending on the context, a comprehensive title review may reveal issues which may justify a price reduction, especially if the seller understands that the issue would similarly affect a sales transaction with any other prospective buyer. An experienced real estate attorney will also be instrumental in reviewing the title commitment and proforma title policy, and suggesting applicable endorsements. Start the title review as early as possible, and maintain a proactive, sustained approach. If available, begin reviewing the Preliminary Report prior to executing the PSA. Allow yourself plenty of time to track missing documents, and to address and resolve potential title issues with the seller (and any pertinent third parties). If a seller perceives that your title review is not being conducted with the appropriate level of urgency, then the seller will be less inclined to grant any extensions of time (or the seller may seek additional concessions than what would have otherwise been required if the buyer promptly initiated title review). Ensure that the title review provisions in the PSA are clear and that they provide realistic time periods for both you and the seller. Very rarely will complete and legible copies of all pertinent documents be produced at the outset. Even in situations where due diligence packages have been gathered ahead of time in anticipation of the execution of the PSA, it is not uncommon to discover missing items (agreements, amendments, addenda, etc.). You also want to avoid a situation where a title issue is raised by you and the seller is under no real pressure to respond within a specified period of time. There are many mechanisms that can be implemented in a PSA. Additionally, as a practical matter, an easement will often need to be plotted to be fully analyzed for purposes of determining whether the easement will interfere with the buyer’s intended use of the property (and the anticipated future use by subsequent purchasers). If an ALTA survey will be ordered, which is advisable with most major commercial real estate investments, the surveyor will likely need two or more weeks lead time to prepare the survey. If possible, the PSA should provide ample time for this. Engage an experienced transactional commercial real estate attorney. Also, if you engage an attorney that will delegate the title review to a junior attorney, paralegal or other person, be sure that you are comfortable with that person’s skill set as well. Also, be involved and ask questions. In certain instances, the person handling the title review may not be familiar with your specific buyer objectives or the intended use or development of the site. What may not be problematic to one buyer client, may be a potential “deal-breaker” for another. Effective communication with your title review team is key. The Preliminary Report is not an absolute representation as to the condition of title. However, the title policy will typically state exceptions to title, which are the recorded liens and encumbrances identified in the Preliminary Report. This article provides general information about California law only and is not a substitute for legal advice. The views expressed herein may vary depending on the context. We encourage you to consult with a licensed attorney before taking any action that may affect your legal rights.